Lawrence Pratt has a long history at the Central American Institute of Business Administration (INCAE), the renowned Central American business school in La Garita, in Alajuela, northwest of San José. Pratt, who joined INCAE in 1996, is one of the founding members of the Latin American Center for Competitiveness and Sustainable Development (CLACDS), which aims to promote changes in public policy, business strategies and actions by civil society to achieve greater competitiveness and sustainable development. 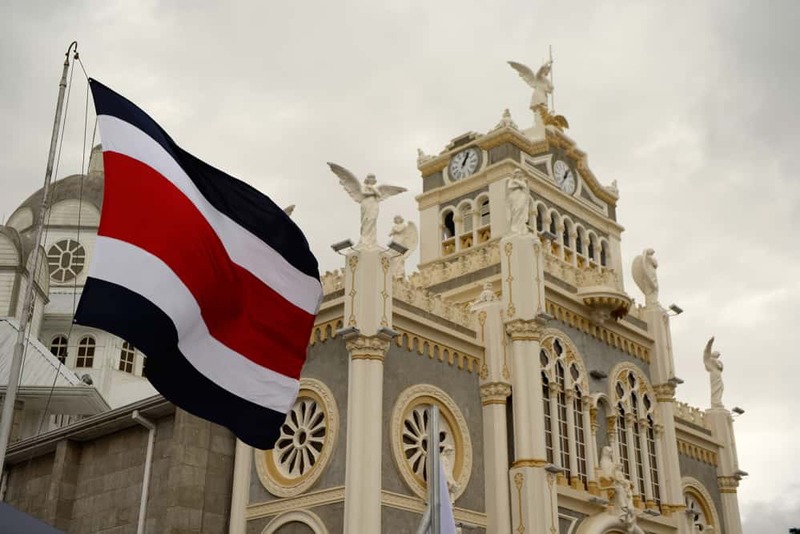 The work of CLACDS could be paying off, as earlier this week the World Economic Forum ranked Costa Rica the 55th most competitive country in the world. This marks an improvement of 13 positions since 2006. Much of the improvement stems from activities that can be tagged as sustainabledevelopment practices, such as the development of rural areas through eco-tourism efforts, improvement in education, and advancement of efforts to limit carbon emissions to reach the government’s goal for the year 2021 of achieving carbon neutrality (where the nation’s carbon dioxide emissions are balanced by activities that capture the greenhouse gas, such as reforestation and forest conservation). Pratt – who holds an undergraduate degree in economics from the College of William & Mary in Williamsburg, Virginia, in the United States, and a Yale University master’s degree in public and private administration – was named director of the CLACDS program last month. 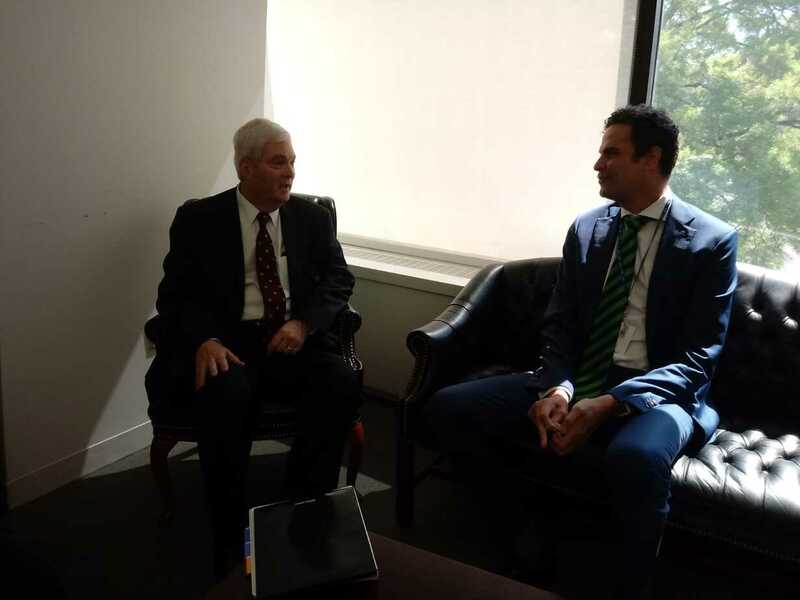 The Tico Times met with Pratt this week to discuss the present and the future of Costa Rica’s sustainable development agenda. TT: What is the focus of the Latin American Center for Competitiveness and Sustainable Development? LP: The focus of the center is described in its title. As for the Latin American part, we look at regional issues. Our focus is Central America, though we do research as far north as Mexico and as far south as Argentina. What we try to do at the center is help the countries of the region find their way into international markets, as far as the competitiveness part (of the center’s title), and do it in a way that manages the natural patrimony and cultural patrimony that contributes to that growth and sustains that growth. For example, if an economy has become too extractive, when you start looking at the resources it uses or the number of options the country has available for future growth, or the health of its people, or when the quality of life starts to deteriorate, the question is not just “How does one create economic growth?” There are centers all over the world that do that. We look at how you create economic growth that contributes to the quality of life of the people over the very long term and over generations. So, as far as Central America and sustainable development goes, where does Costa Rica fall? All of the countries have exactly the same challenge: How do countries improve the quality of life for their citizens and do it in a way that doesn’t decrease the probability that future generations are going to be successful? Different countries have different approaches and histories, and Costa Rica has several advantages, such as not having had a civil war in the last 50 years. 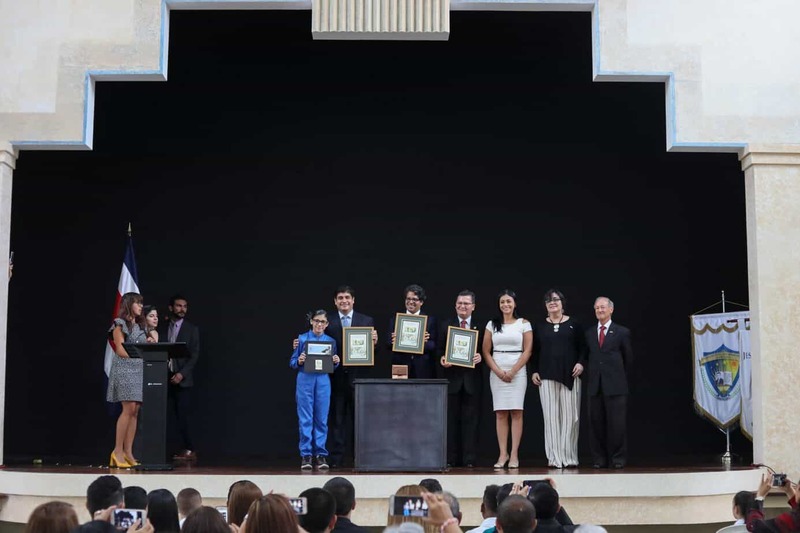 This has allowed Costa Rica to invest more in education and in the transition from a rural society to an urban society, and what we’re seeing now are the dividends. Costa Rica’s growth is primarily attributable to investments in education and institutional capacity. The other countries in the region are the same. In looking at where the countries were 40 or 50 years ago, they’ve also made huge strides and, were it not for (questions of) political conflict and instability, there is no reason they couldn’t be in a similar economic situation. On the pure sustainability issues, clearly the level of awareness in Costa Rica is much higher. Costa Rica’s understanding of the role nature and biodiversity play is much deeper. But interestingly enough, Costa Rica’s knowledge of trash disposal and other urban issues– for example, the national embarrassment and tragedy that such a tiny percentage of the wastewater is treated before it is dumped into the rivers and the oceans – should be a cause for national embarrassment, particularly for a country that prides itself on its care for the environment. Nicaragua treats a much higher percentage (of wastewater) and is much better at managing it because they are more conscious of it. What are the primary facets that a country needs to develop to have strong sustainable development practices? There is a very, very broad panorama of things that are needed. The fundamental issue is education. Costa Rica is justifiably proud of the advances made in education.But, if we look at the country objectively, can a society that gets only one third of its students through high school really expect to achieve the quality of life and income levels on par with wealthier countries? Another issue that we are particularly worried about is that we know that economic growth helps a very large portion of any society. 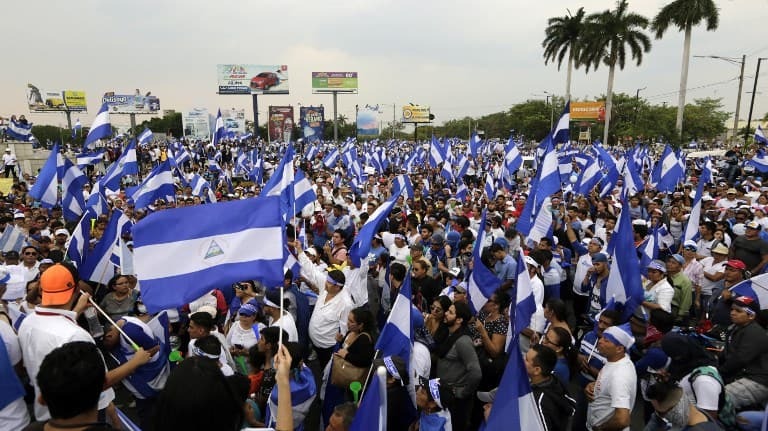 But we also have very compelling evidence that there is a huge portion of all Central American societies that is left out of that economic growth. So, basically, those who have education and access to health care and nutrition are able to get into the system to benefit from economic growth. But those left outside of it turn into a drag on society and wind up having all sorts of problems beyond their control. This is where you see gang violence, more health problems and lower achievement in children. You mentioned poor management of wastewater. Is that one of the bigger problems facing Costa Rica’s progress in sustainable development? It is a big problem in Costa Rica for several reasons. First of all, it means everything downstream from San José has less potential. I believe it is a huge problem for Costa Rica as a country, and it causes a problem for a country that prides itself on respect for its environment. Costa Rica’s love for its environment and its understanding of the importance of protecting it is very limited to the understanding of protected areas and biodiversity. This is wonderful, and it has to be reinforced. But the fact that this concern doesn’t cross over into other areas is just as important and should be a cause for national concern. It is inconsistent with the country’s image and with the country’s diplomatic position. 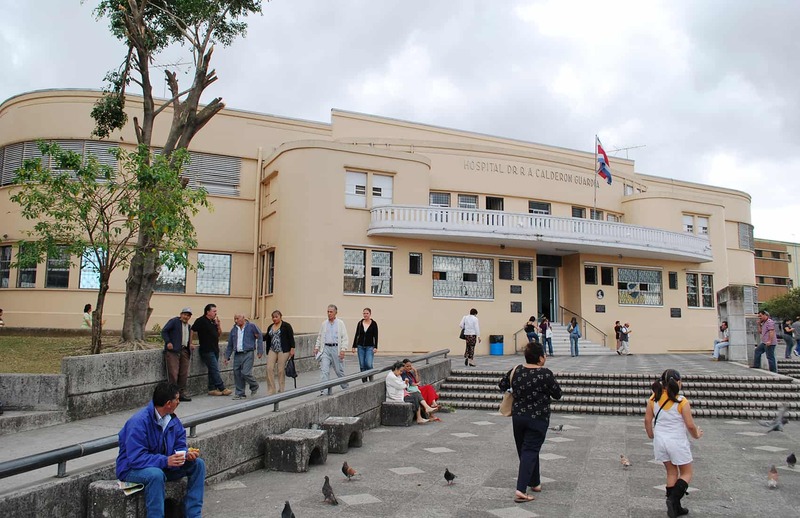 Every year that the country delays improvement of the wastewater treatment system in San José, it creates an additional expense of $15 million because of urban expansion. We are particularly worried about some of the contaminants that are showing up in the water – particularly heavy metals, which have cancer causing properties, and residues from plastics, which have extremely important downstream effects, particularly in coastal areas. What do you consider to be the top environmental concern for Costa Rica? For me, the biggest concern is Costa Rica’s energy future. Costa Rica is a country that has historically done an extraordinary job of producing its own energy (from sustainable sources such as hydro, geothermal and wind). For the next 20 years, Costa Rica is going to have to put more energy than it has in its entire history on the line to satisfy its growth. Where is it going to come from? The delays in terms of additional hydroelectric power are a concern. The country, it ooks like, is going to have to be more dependent on short-term, stop-gap measures, and more dependent on oil and fossil fuels, to get through a fairly long stretch, which is going to cause the cost of energy to increase, which is going to cause the emissions of carbon dioxide to increase, which is going to go completely counter to the government’s stated policy of carbon neutrality in 2021. And, in spite of all that, we have an extremely fossil–fuel dependent transportation sector. Right now there isn’t a coherent energy plan, so we’re hoping the political candidates will consider that one of their top issues. The other issue is water availability. It is a very rainy country, but if we have so much water, why do we have critical shortages for our hydroelectric plants about every third or fourth year and why, in the dry season, do we have huge percentages of the metropolitan area of San José without water? Does that have to do with water management, how water is managed, how water sheds are protected or not protected? The sad truth is that, for pretty much every country in Central America, when foreign investors come to the region and ask, “Can you guarantee quality of water, quantity of water and seasonality of water for my operations?”, the answer is “no.” The investment promotion agencies can’t guarantee that, even for the next five to 10 years. Is carbon neutrality in 2021 a realistic g leader in climate change issues, using very innovative programs and using forestry and keeping forests safe and recovering. 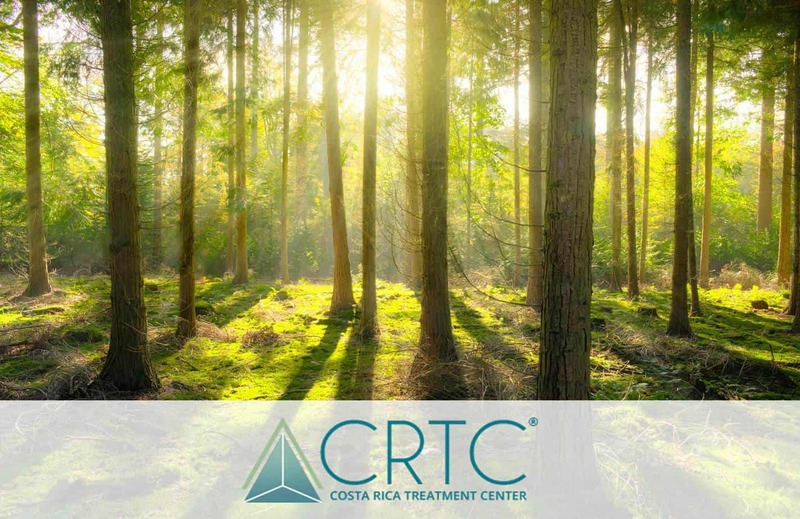 Costa Rica, I believe, is the only developing country in the world that has reversed the net deforestation rate and turned it into net positive reforestation. That is done using a very interesting and innovate public policy, using mechanisms and structural changes tothe economy, but they have worked. Costa Rica has an extremely renewable energy grid. So, as a vision to where the country should go forward, President Oscar Arias came up with an interesting proposal, which intends to build a last step and set an example for small developing countries. The goal is that these countries don’t contribute to global carbon problems and that it is possible for a small developing country to have no net contribution to global climate change. And that’s what is driving the vision. The practicality of reaching the goal is difficult. Nobody really knows how Costa Rica is going to be able to reduce its carbondioxide emissions to a level where this is matched by its internal abilities to compensate. But I think politicians should be setting goals we don’t necessarily know how to achieve.